A widely celebrated novelist gives us a generous collection of exhilarating short stories, proving that he is a master of this genre as well. Once again, "he reminds us," wrote The Miami Herald, "that great writing is a timeless art." 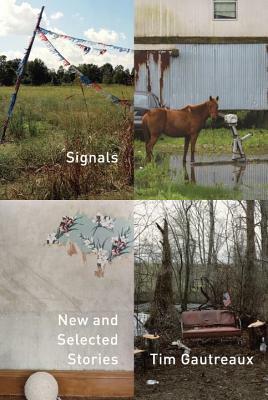 After the stunning historical novels The Clearing and The Missing, Tim Gautreaux now ranges freely through contemporary life with twelve new stories and eight from previous collections. Most are set in his beloved Louisiana, many hard by or on the Mississippi River, others in North Carolina and even in midwinter Minnesota. But generally it's heat, humidity, and bugs that beset his people as they wrestle with affairs of the heart, matters of faith, and the pros and cons of tight-knit communities--a remarkable cast of characters, primarily of the working class, proud and knowledgeable about the natural or mechanical world, their lives marked by a prized stereo or a magical sewing machine retrieved from a locked safe, boats and card games and casinos, grandparents and grandchildren and those in between, their experiences leading them to the ridiculous or the scarifying or the sublime; most of them striving for what's right and good, others tearing off in the opposite direction. TIM GAUTREAUX is the author of three novels and two earlier short story collections. His work has appeared in The New Yorker, The Best American Short Stories, The Atlantic, Harper's, and GQ. After teaching for thirty years at Southeastern Louisiana University, he now lives, with his wife, in Chattanooga, Tennessee.